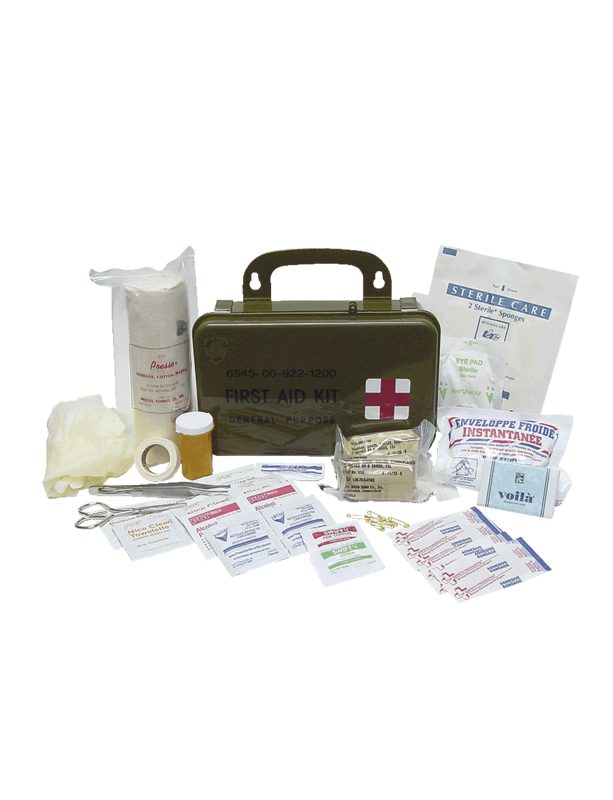 The General Purpose First Aid Kit is a great kit for everyday use. The hard plastic waterproof box makes it a great kit to keep around the house, or in the car. The military issued style makes it a sought after first aid kit.